Later sunsets, warmer nights & the smell of barbecue means that summer is officially here! Whether you have a big occasion to celebrate or just want to take advantage of these summer nights, entertaining has never been more appealing. We’re breaking down our favorite things to do: from the logistics of planning to the fun of partying so you can throw your own seamless summer soirée. 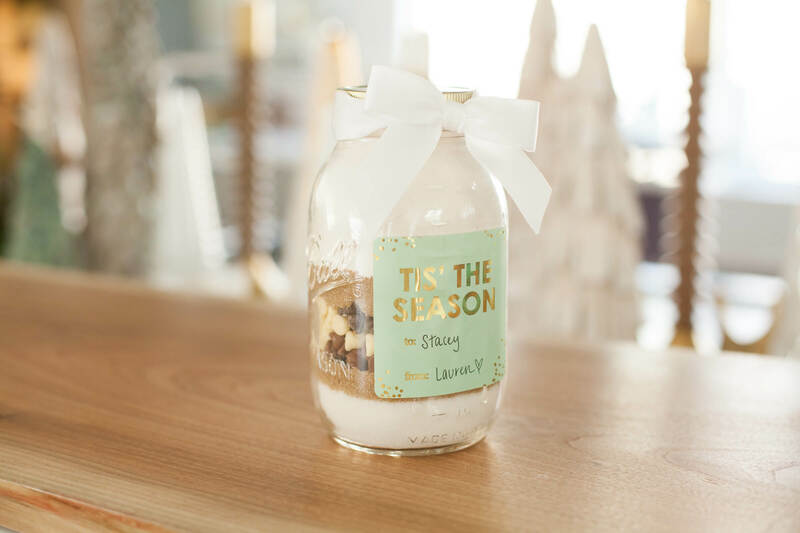 DIY Holiday Gifts With EC! Showering friends and family during the holidays is truly the most enjoyable part of celebrating…and I promise you it doesn’t have to be expensive! No matter what your DIY skill set, I’ve got a great list of adorably easy handmade gifts and party favors to get you through the giving season with a touch of grace and a whole lot of joy. Fall Party Feature: Perfect Placemats for Every Occasion! …Designer Placemats that are disposable and conveniently bound together in a pad! 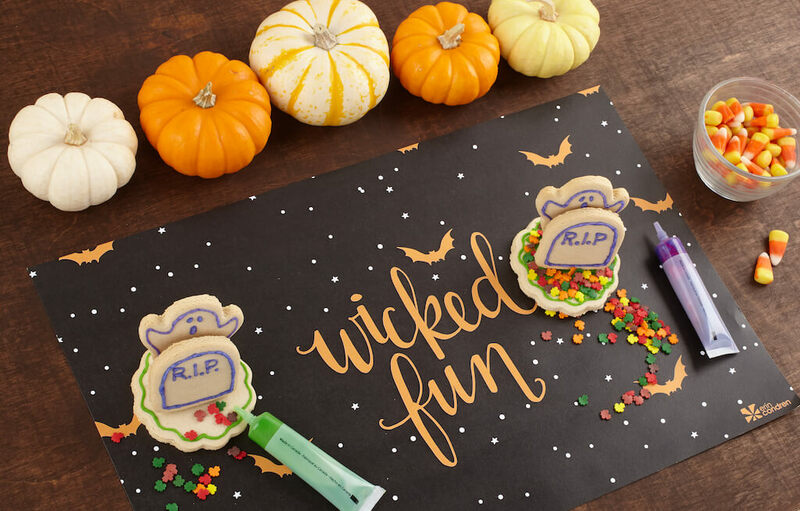 Whether it’s a full-blown halloween party or just an after school activity with the little ones, cookie decorating is a fun fall activity that feels even more festive when you set the stage with wicked fun placemat pads! Other than the obvious benefit of containing the mess of sprinkles and frosting, they can also be used in a TON of other ways.. pumpkin carving, anyone? 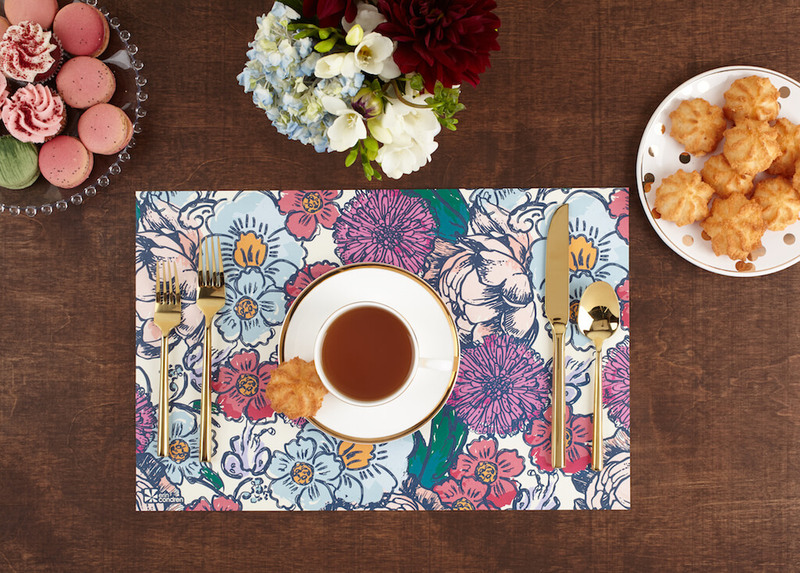 All you need to throw a sophisticated tea party is classic tea set, a few delicious cookies, and a fabulous floral ink design to add a touch of fancy! The gorgeous color palette of this design makes picking a coordinated napkin color a cinch. The epitome of elegance comes alive in a palms themed garden party! One of the best aspects of placemat pads (and the palms design) is their versatility- you can use them for almost any occasion! 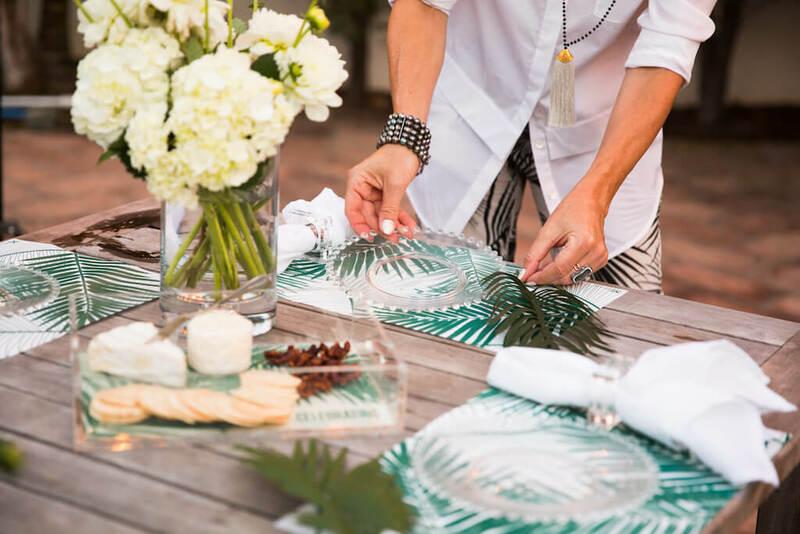 You’d be surprised at how instantly these gorgeous palms placemats add to your entertaining aesthetic! Hosting a bridal or baby shower? Share the love on a custom colored heart design that compliments the wedding theme colors or nursery. The text inside the heart is customizable so you can truly say it from the heart! Celebrate a soccer goal or a super grade! 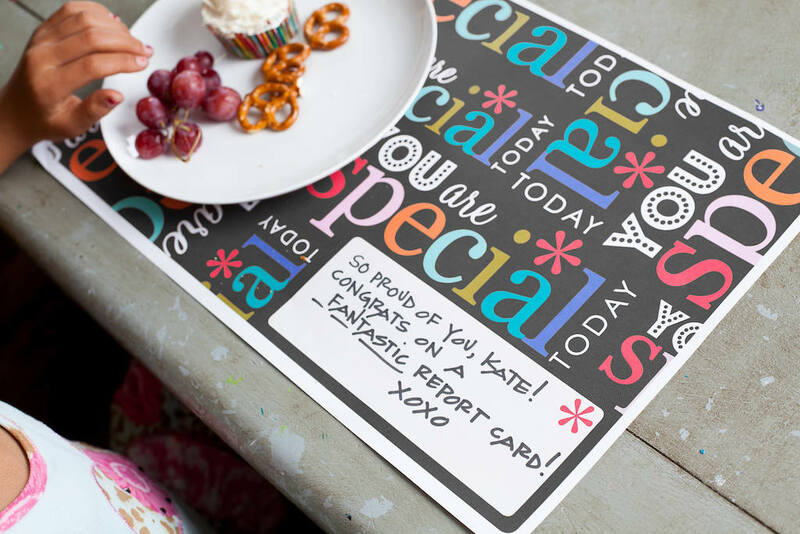 The pad of “You are Special Today” placemats is great to have on hand for any spontaneous celebration and a personal favorite in my family. Looking more for party-planning inspiration? 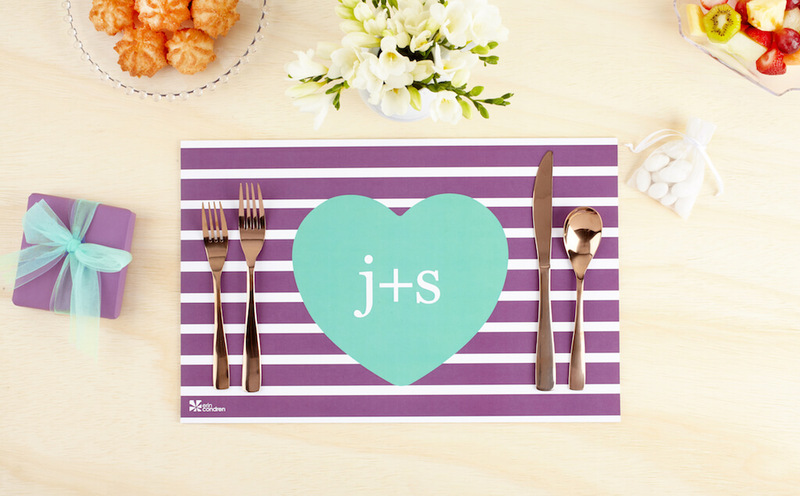 Shop all the delightful designs for our placemat pads here! Those who know me will tell you: any excuse to throw a party, you can count me in! 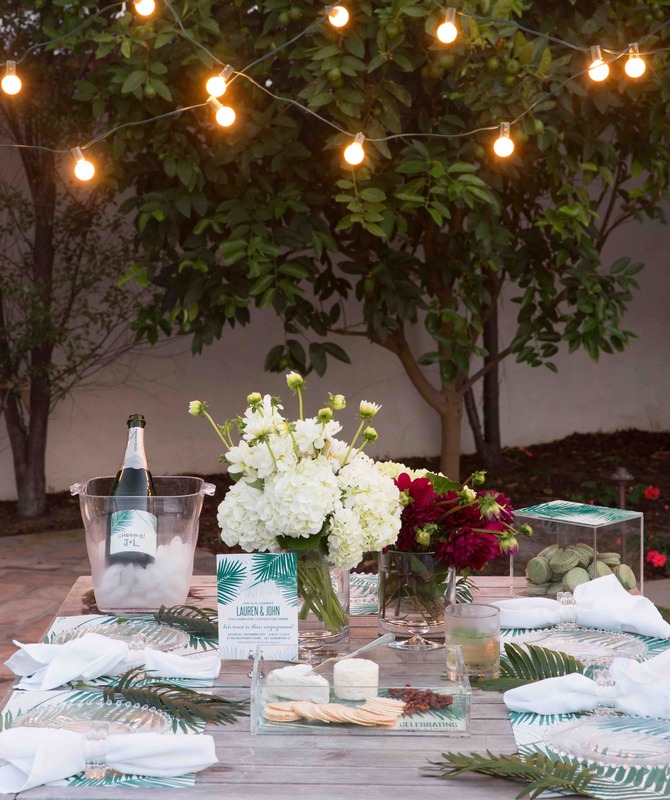 So when I saw our posh palms design printed on wine totes, trays, and placemat pads, it got me SO excited to plan an elegant summer soirée! Whether you’re the one greeting guests at the door, or you’re on the hunt for the perfect hostess gift, no evening is complete without a sip of something refreshing while the sun sets! For a themed event, try customizing the bottles with gift labels – I love this look for engagements or anniversaries when you may want to keep the bottle as a keepsake. Or if you’d rather leave the label clean, a wine tote in palms print is the perfect way to present your favorite beverage to the host. Feed your fancy side by whipping up a charcuterie plate! It’s not actually as fancy as it sounds- just an array of cured meats, cheeses, and dried fruit, but when served on a palms acrylic tray is charcuterie-chic! I love the green and white palette in an outdoor setting, but you could also customize the colors in bright fuchsia or orange for a tropical-themed fiesta! In keeping with the sophisticated style of the theme, fern fronds are a super simple way to decorate your table scape. Place settings in palms are just too posh, especially with matching placemat pads. String lights overhead add a finishing, romantic touch that will lead your guests to linger long into the night! This gorgeous, garden get-together would not be complete without green tea macarons. Served in a palms acrylic box, they are a charming treat on top of an exquisite evening! Inspired by all this natural beauty? Wait ’till you see wood grain! Shop new designs now. Labor Day is my favorite way to send summer out with a bang, and this year, the backyard barbecues just keep coming! 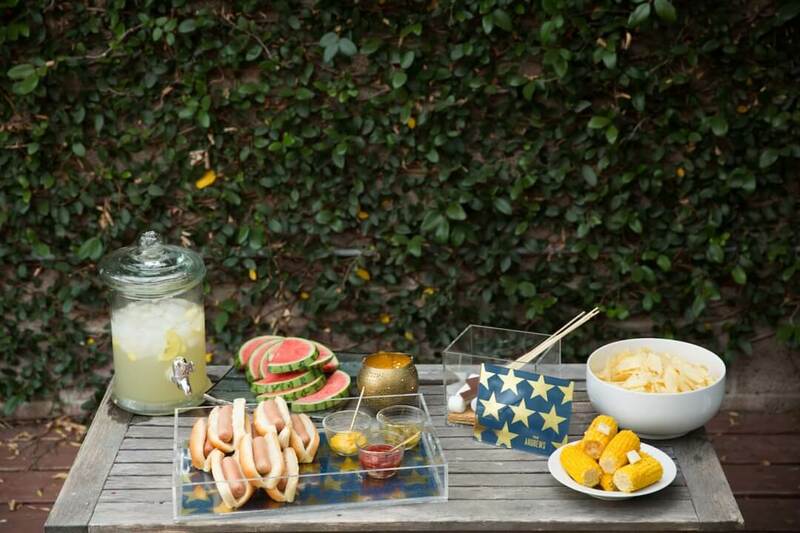 Instead of giving yourself a hostess headache, keep it classic with a simple theme like vintage stars & stripes (featuring s’mores and hotdogs, of course!) Leave the fancy hors d’oeuvres and fine china for another time – stick to a darling design that will be enjoyed long after you’ve lit the last citronella candle! 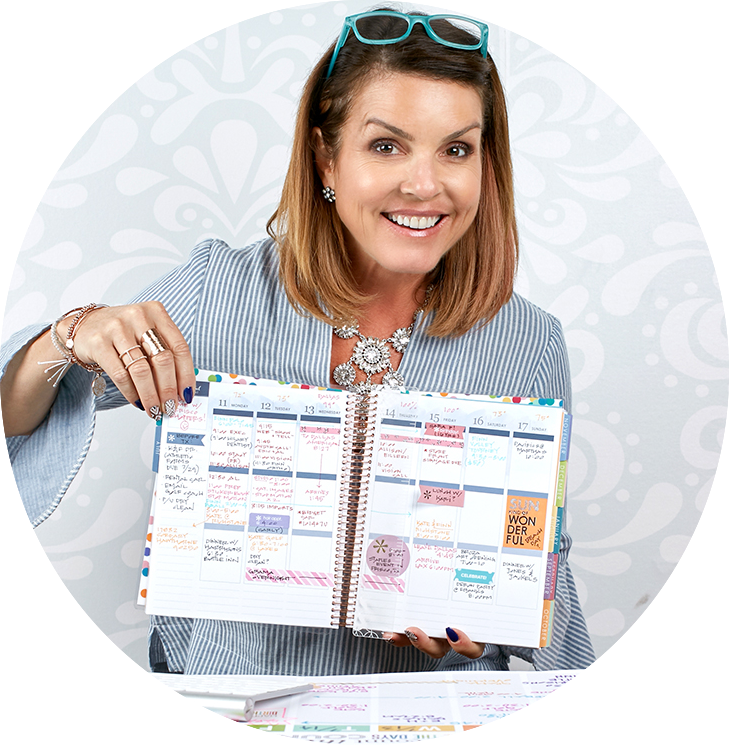 Whether your long weekend takes you over the river and through the woods, or you’re planning a simple staycation, having a notepad on hand for fun family games or your grocery list is an entertaining essential. I especially love that this design works for both boys and girls, making it the perfect pick for your back to school supplies as well. Once the kids are set up with plenty of paper & pencils to keep them occupied, it’s time to focus on the central elements of this backyard soirée: the tablescape! Buffet-style service lets everyone help themselves, and on a picnic table with a large lemonade dispenser, you simply can’t go wrong. To add to the ambiance, we filled outdoor candle holders with mini LED string lights for an elegant effect without the fear of flammability. The real stars of the show (pun intended!) are the vintage stars gold metallic acrylic trays and boxes – so festive and fun! This design adds to the timelessness of a backyard barbecue, and when used to hold a hot dog bar, looks absolutely iconic! Added bonus: the tray inserts are interchangeable, meaning you can swap out the design any time you like. Finally, a little dessert before you dive back into the school year or work schedule is a must at any Labor Day party, and we could think of nothing more delicious or delightfully simple than s’mores! The print looks so classic on the acrylic box, it’s sure to become your year-round cookie jar! As a sweet send-off, try making to-go s’mores kits (cellophane bag + stars & stripes gift labels are SO cute!) for a summer they won’t soon forget! Looking to deck out your next backyard bash? Shop vintage stars!